Senate Environment & Public Works (EPW) Committee Chairman James Inhofe (R-Okla.) used a February 25 hearing to send a direct message to senators and outside groups about his opposition to the so-called “devolution” concept that would cut federal gas and diesel tax rates with the hope that state and local governments would raise revenue on their own to fill the resulting cuts in federal surface transportation investment. ARTBA has worked with the EPW and House Transportation & Infrastructure Committees to help them quantify the state gas tax increase that would be needed under the devolution proposals. Utah Department of Transportation DOT Executive Director Carlos Braceras agreed with Inhofe. “For our country to continue to be successful and to be an economic leader, we need a strong federal transportation system,” Braceras said. EPW Committee Ranking Member Barbara Boxer (D-Calif.) sounded alarm bells about the need to prevent another extension of the highway and transit programs. 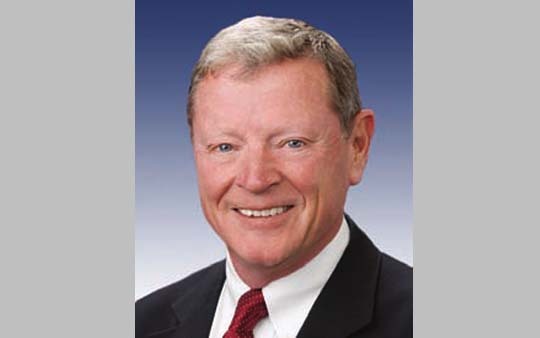 Boxer warned, “We need to take the lead and get things going, because I see another extension coming.” Inhofe agreed with Boxer about the need to prevent another extension and said the multi-year bill his committee is currently writing will be based on the bipartisan product that was approved unanimously by the EPW panel in 2014. Former EPW Committee Chairman David Vitter (R-La.) reiterated his view that the three paths to generating new Highway Trust Fund (HTF) revenue needed for a multi-year surface transportation bill are: a gas tax increase; recapturing overseas corporate tax revenue and allocating the resources to the HTF; and devoting royalties on new domestic energy production to the trust fund. Despite the clear interest and focus on a long-term surface transportation bill by members of the EPW Committee, the responsibility for generating new HTF revenues rests with the House and Senate tax committees. These panels are considering various solutions, but a timeline for action is not yet known. The U.S. Department of Transportation projects the HTF will require an infusion of new revenues by July to prevent a slowdown in reimbursements to the states for federal-aid work already underway.